If you want excellence in the workplace, encourage your team to (respectfully) air their disagreements and frustrations. When confronted with conflicts or difficulties at work, often we find ourselves seeking agreement, order, and “pleasantness.” At first glance this appears appropriate—even obvious. But more often than not, seeking harmony in order to promote a healthy workplace can diminish creativity, hamper communication, and stunt growth over the long run. In his book Managerial Courage, management consultant and psychologist Harvey Hornstein concludes from his research that when pursuing harmony in the face of conflict, we can find ourselves mistakenly anesthetizing our creative thinking and skillfulness. “What often emerges under the pressure to get along, be nice, and work and play well together is an uncontroversial package of rules about how to act and what to think, distinguished only by their blandness,” he writes. When we shy away from conflict, we can wind up grappling with unresolved frustrations rather than producing excellent results. Like placing plastic flowers in a motel room or offering bland niceties in tense social settings, when we shy away from life’s difficulties we buy into a kind of “false harmony”—a phony sense of relief and pleasantness. Over time, that dullness can make us increasingly willing to ignore what needs attention, avoid what needs to be said, and discourage what needs encouraging. As it turns out, everyone had complaints about the project from the outset, but no one felt comfortable expressing them. Bob had fallen prey to harmonizing for success rather than leading for excellence. Tensions, perspectives, and concerns that needed to be aired and examined early on—a natural stage for all teams to go through—were instead ignored, even discouraged, only to interfere later as unspoken resentments, simmering frustrations, and active resistance. The lesson for Bob and for all of us: When teams shy away from conflict, they can wind up grappling with unresolved frustrations rather than producing great results. True success requires fearless harmony. By opening to difficulties, we can engage work’s paradoxes and conflicts fearlessly, not submissively—which, in turn, leads to honest, respectful communication and a team that genuinely understands and supports one another. Whether we’re meditating in the Rockies or running a company in Seattle, we need not dumb down our inquisitiveness or just “get along.” Instead, we can live in fearless harmony, where challenges wake us up and conflict invites us to courageously lend a hand. 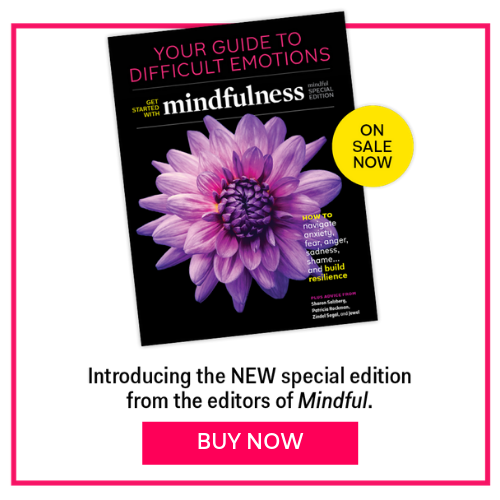 This article appeared in the December 2015 issue of Mindful magazine.